On a Friday evening in early January, roughly 50 Tijuana denizens met at the currently established architecture academy, Escuela Libre de Arquitectura, located near the Tijuana red-light district of Zona Norte. They were gathered to hear anthropologist Pablo Landa, curator of the Mexican pavilion at the 2016 Venice Architecture Biennale, speak about the focus of the pavilion. Students, architects and members of different local NGO’s took the occasion to dialogue with Landa about the role a city like Tijuana could have within the theme Reporting From the Front set by biennale director Alejandro Aravena. In December, the Mexican Pavilion organization committee selected works and regions to be featured, including work from two young local architects Aaron Gutierrez of the firm Amorphica and Raul Cardenas of Torolab. Both firms have platforms imbedded in the building of community fabric through architectural interventions in the disfranchised population zones of this infamous border city. As the night progressed, the dialogue between curator and public was shaped by notions of how the built character of Tijuana could be extrapolated to ideas concerning working in the margins and the production of histories and stories that resonate with fast paced urban development in twenty-first century Latin America. 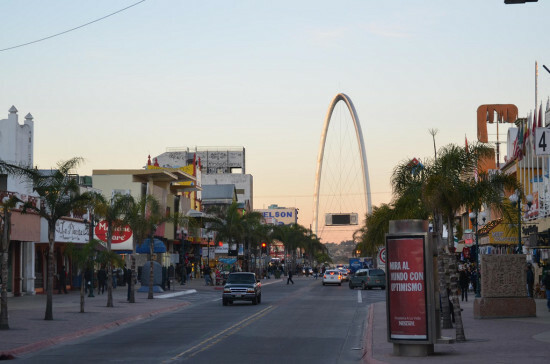 Sociologist Nestor Garcia Canclini once declared Tijuana the epitome of hybrid urbanism. 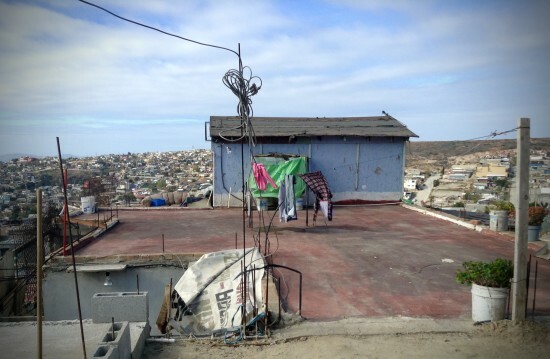 Yet over the past decade, after years of violence and cartel hegemony, there has been a resurgence in the Tijuana region: a re-assembling of its identity through critical and self-referential cultural praxis in film, theory and architecture. https://vimeo.com/107842702 This present border history will be evident in another addition to the pavilion, the film El Hogar al Revés (Up Side Down Home) by Itzel Martínez del Cañizo, which documents the harsh lives of two teenagers and their friends living in the undersized working class housing tracts built by developers and subsidized by the government in the periphery of Tijuana. The two-hour evening ended with a commitment from Landa to meet again, continue the dialogue, and maybe search for more ideas and projects to complement the ones already selected for the biennale. Students present from the Escuela Libre de Arquitectura and other universities had the opportunity to express their ideas pertaining to the topics of culture, patrimony, and the unpredictable built identity of Tijuana, a city where all architecture, private or public, has an effect in the construction of its myth and image. In Tijuana, all architecture is social. Seemingly ubiquitous in New York City, SHoP Architects may be taking its urbane brand south of the border, and not just for tacos. 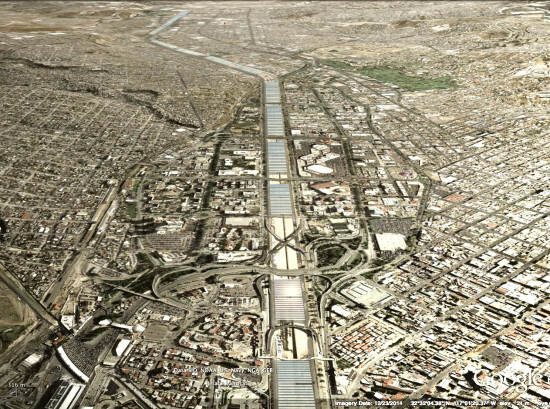 The firm won’t confirm or deny rumors that it chatted with Alfonso Medina of T38 Studio about a Tijuana-based project. Architecture and drug smuggling don’t usually occupy the same space in a news story, but today architect Eugenio Velazquez, a dual citizen of the United States and Mexico, was sentenced to a 6-month term for trying to bring 12.8 pounds of cocaine into the U.S. in a special lane for pre-screened, trusted motorists. Velazquez received a lighter sentence after explaining to the judge that drug traffickers had threatened to kill him and his family if he didn’t comply with their demands to smuggle the cocaine. 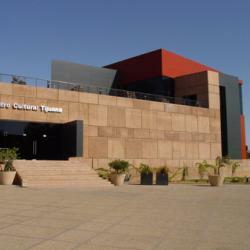 Velazquez has designed several important buildings in Tijuana including a police headquarters and the Tijuana Cultural Center (known as El Cubo). He’s currently working on Our Lady of Guadalupe Cathedral and plans to move forward with the project.